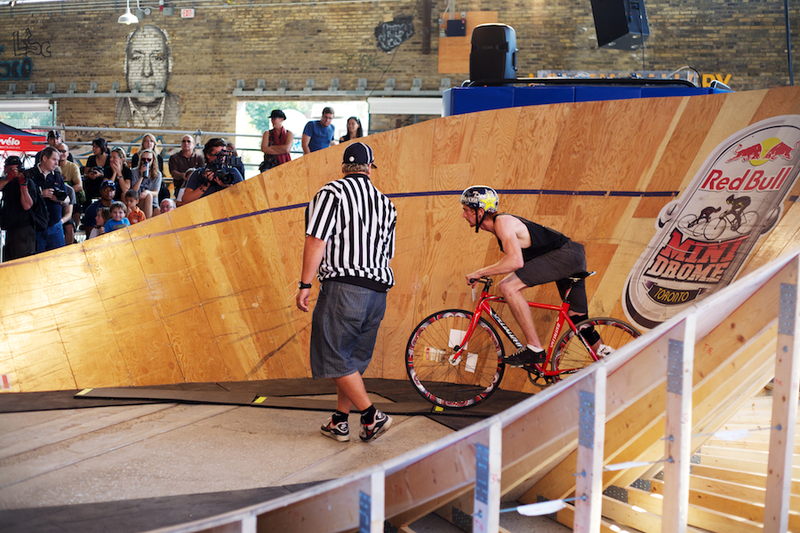 In the heart of Evergreen Brick Works, next to the kilns that fired the bricks that built Toronto, 85 skilled and daring riders took on a steep and shrunken velodrome. 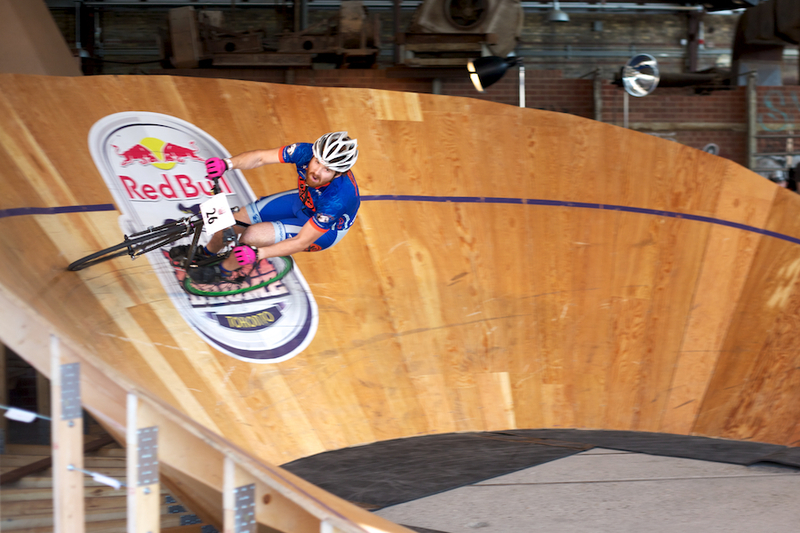 With speeds reaching 35 km/h, on a track that appeared no larger than a suburban garage, the challenge was not only to set the best time but do so without slamming to the ground. 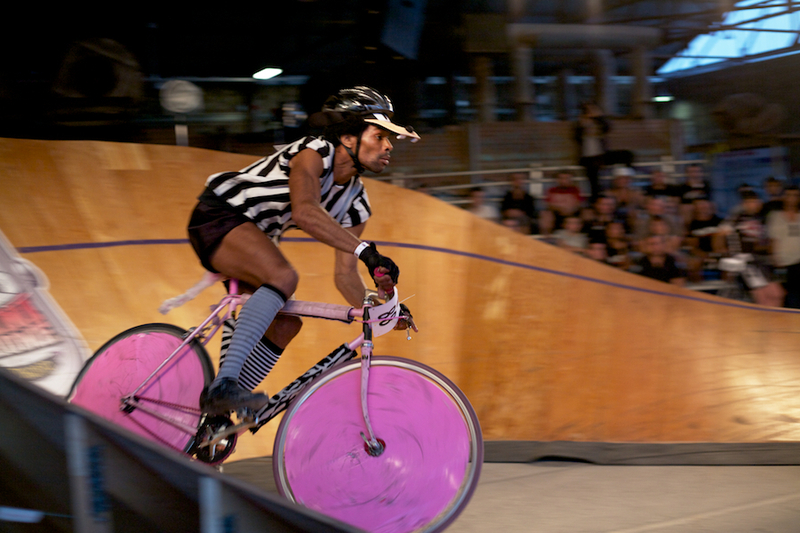 Johnny "Jet Fuel" Englar, made an appearance (racing a front rack-equipped single speed) as did many other legendary local riders from the days of the Human Powered Rollercoaster. 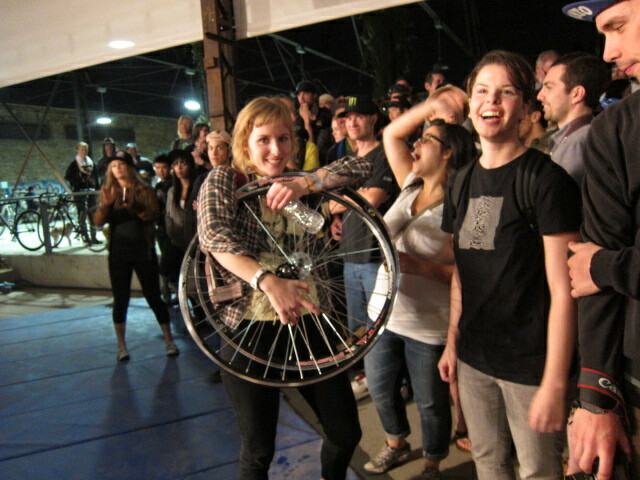 But the big competition was Addison Zawada from Jacksonville, Florida who was also the Montreal mini drome champion. 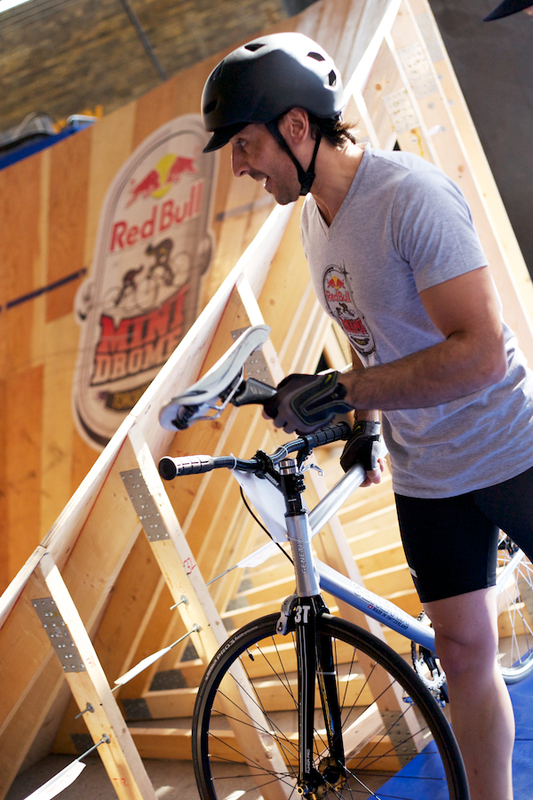 "The whole thing took me by surprise. 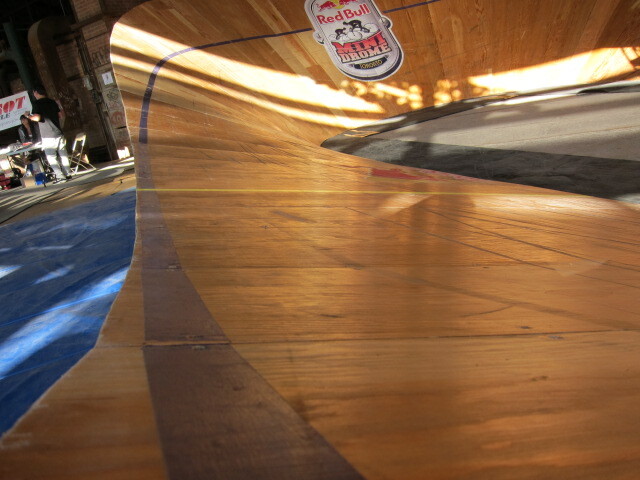 It was on my eighth lap and I think I got too ahead of myself. 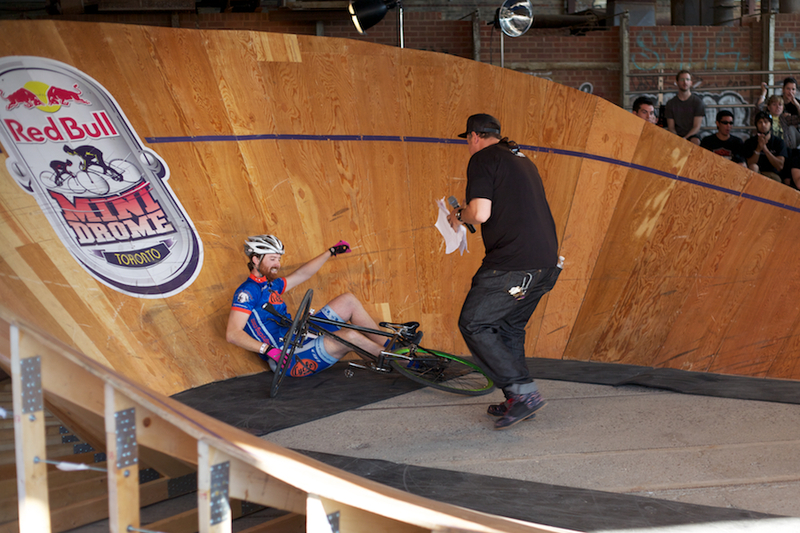 In the turn you want to be looking at where you want to be at the end of it, but I was looking too far ahead and before I knew it my front wheel was off the side and I slammed down. 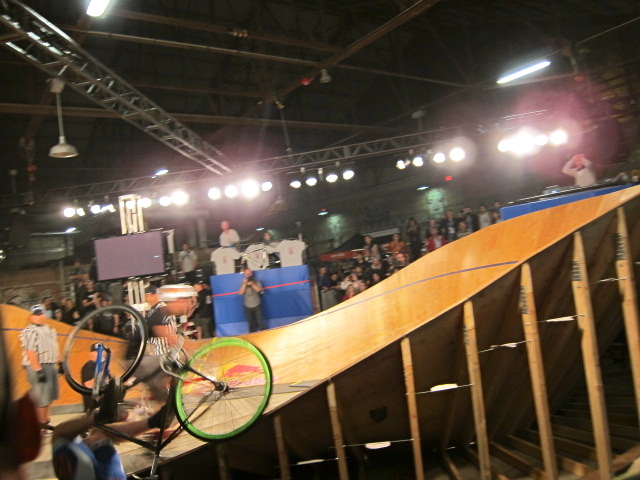 I thought I was going to fly out of the track for sure, but somehow stayed in and got to finish my last two qualifying laps. 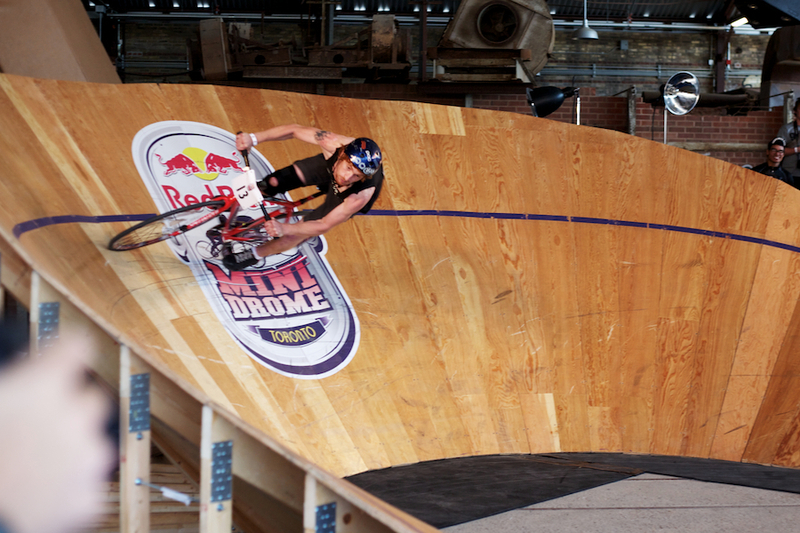 Dennis demonstrates that speed and style can go hand-in-hand on the mini drome. 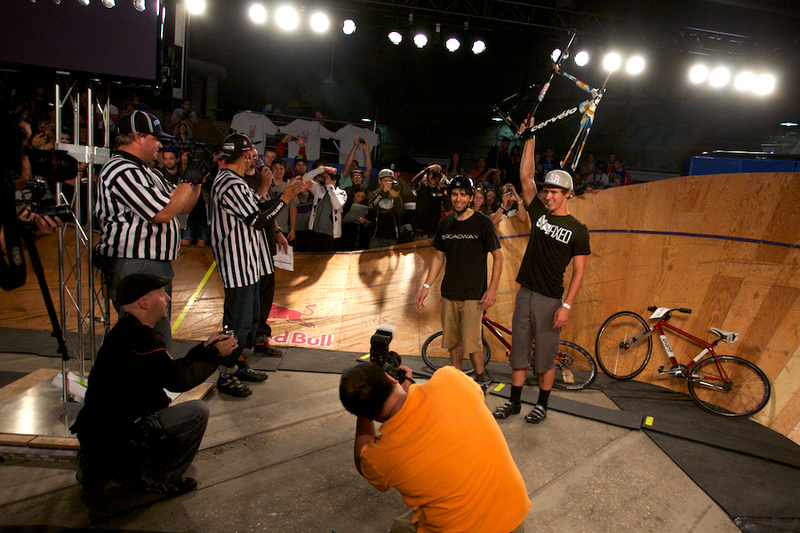 Photo Chris Kaiser. 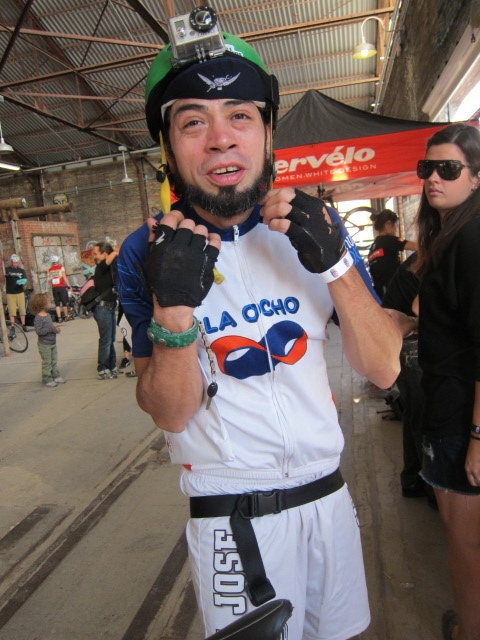 dandyhorse friend and MC for the awesome event: Nadir Olivet did a great job keeping the crowd and the racers going all day long! 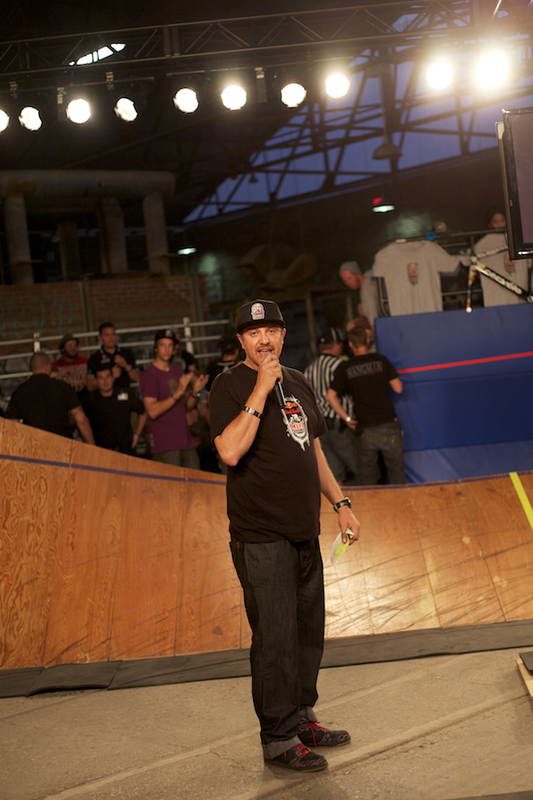 Photo by Chris Kaiser. 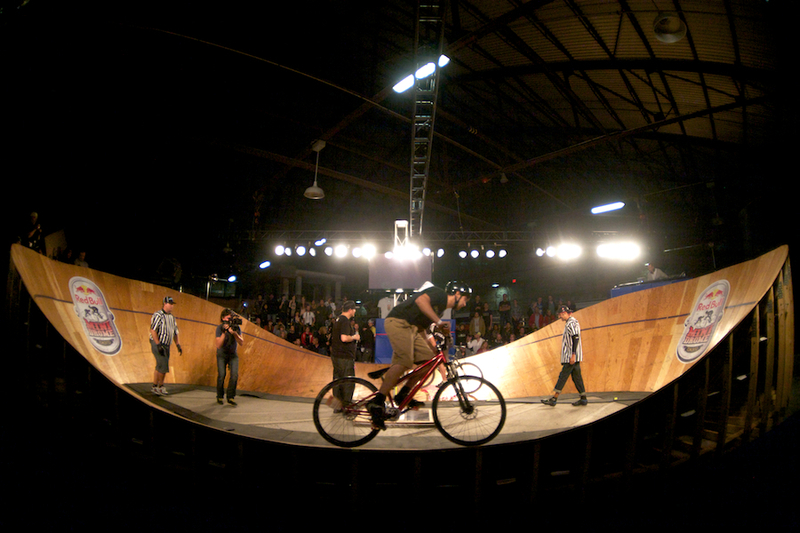 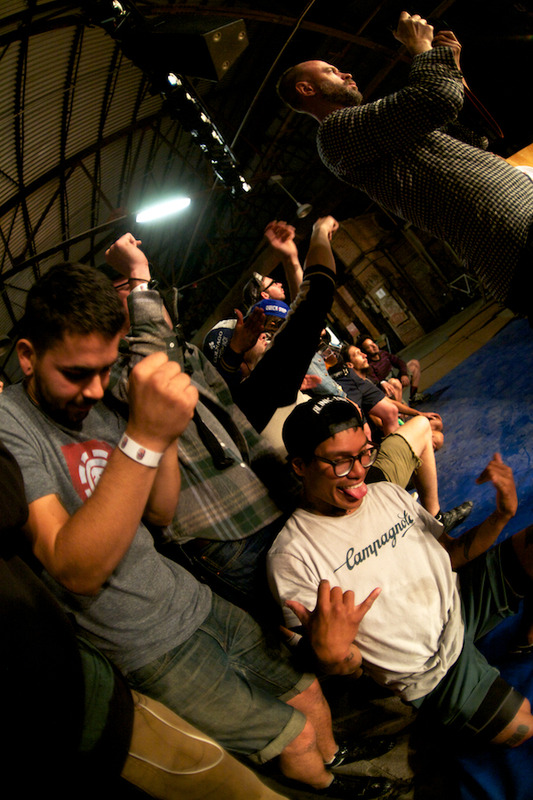 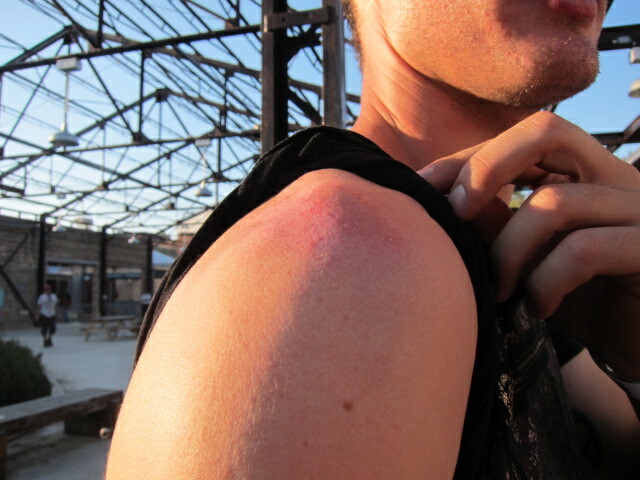 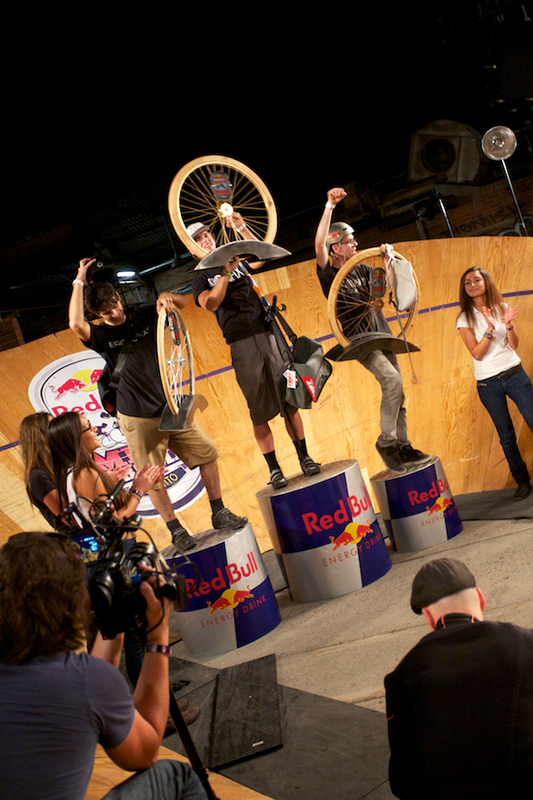 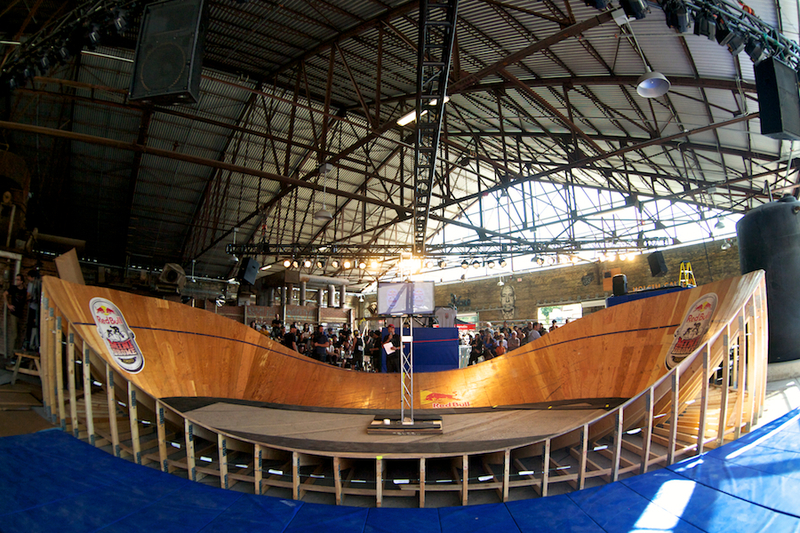 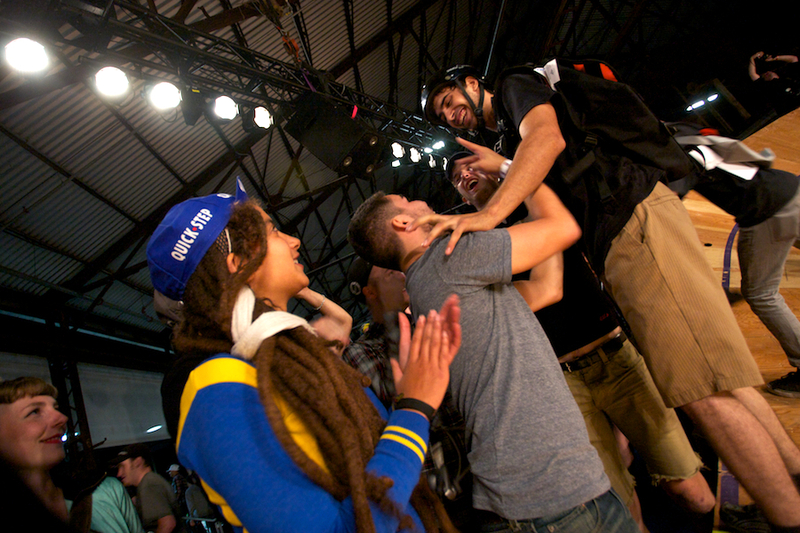 We hope the Red Bull Mini Drome will return to Toronto for 2012!